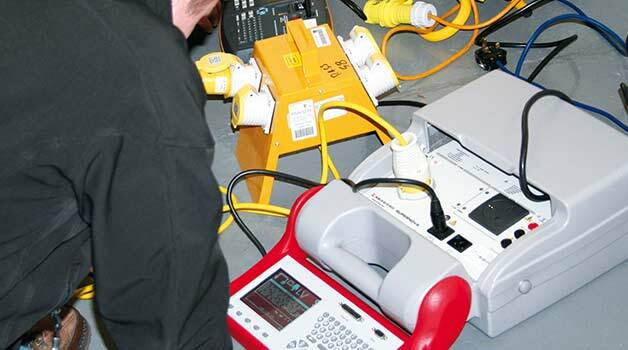 The City and Guilds In-Service Inspection and Testing of Electrical Equipment 2377-22 (AKA PAT Testing) training course in Birmingham instructs you all about the process of PAT testing by both the use of theoretical and practical modules. Attendees will learn about such things as the hazards of electricity, appliances classes, the legal requirements of PAT testing, the IEE Code of Practice and also experience hands-on PAT testing using our range of supplied appliances and PAT testers. Attendees can also use their own PAT testers if they wish and are encouraged to bring them along to the course. After the course candidates should have the sufficient knowledge to carry out basic PAT testing work and satisfy the Electricity at Work Regulations. As part of the course candidates are expected to take a 1-hour, open-book PAT testing exam. Anyone who attends receives a PASS attendance certificate. Those who complete the PAT testing course will be awarded a fully-certified City and Guilds In-Service Inspection and Testing of Electrical Equipment 2377-22 certificate which deems you competent to undertake PAT testing work. This course is split over two consecutive days, starting at 9am through to 5pm. The full duration of the course lasts 14 hours, with an hour for lunch each day. No formal pre-requisites are required. We recommend you bring along a copy of the IEE Code of Practice for In-Service Inspection and Testing. You can contact us in advance and we can sell you one of these before the course. Learn to PAT test from our Birmingham training venue! Need a qualification to work as a PAT tester? Our comprehensive 2-day course on PAT testing gives you an industry-accredited qualification so you can start a career in the electrical industry. This course runs at our venue in Birmingham and is ideally suited for anyone within the West Midlands who wishes to learn all about PAT testing.